Now Rick Warren has set another standard for his followers to adopt. While we are to treat others the way we would like to be treated, why not do that everyday of the week, rather than take the time we have committed to gather together to be taught the Word of God? Perhaps because many Christians today are more committed to studying Rick's book than they are to the study of the Bible, they don't see the problem with canceling worship services at church? December 7 - Can Being a Good Neighbor Trump Worship Services at Church? Although most Christians hearing of megachurch pastor Rick Warren's plan to cancel regularly scheduled worship services this weekend in order to help facilitate community service projects have given the thumbs up, others say the event sends a mixed message. "Good Neighbor Weekend" has been enthusiastically received by the majority of the 20,000 members at Saddleback Church in Orange County. Many have already signed-up online for acts of kindness, according to church officials. Volunteer opportunities suggested and organized by church members include visiting severely disabled children in hospitals, serving breakfast to homeless and families living in motels, and helping families having members in the military stationed away from home with house chores. "Why would we have to cancel any kind of service if we can easily reach out to our neighbors before or after church on any given Sunday? Going to church is something we do as a family every week and I was looking forward to another great message on Sunday," said a Saddleback Church member who wanted to remain anonymous. The husband and father of two children said that he was "scratching his head," puzzled by the announcement to cancel services for the neighborhood outreach. He wondered why the message to church members could not have been to simply serve neighbors before or after church. The member said he remains loyal to Warren's vision in general and gives him credit for knowing "what his flock needs." 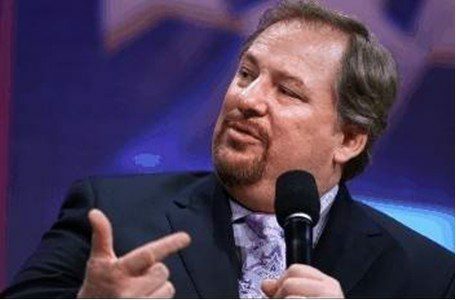 "I appreciate much of Rick Warren and Saddleback's ministry, but I have to disagree here. Cancelling the worship of God to go and serve man subordinates God to man and makes the creation more important than the creator," commented Brian. "Instead of taking any of the other 160 hours during the week, they are taking the few hours they have devoted to the worship of God and using that to serve . Let's rethink it." Erik Rees, Saddleback's pastor of Ministries and Life Worship at Saddleback, previously told CP that this type of event is typical at the church, which has "a wonderful 30-year history of maximizing the Christmas season to fulfill God's call to love our neighbors. With the current climate of the economy, the leadership team felt the greatest way to 'love' this year was to make our weekend 'service' about 'serving' our neighbors. Over the course of two days, thousands of our members and small groups will use their time and talents to show God's love." Church officials hope to log 50,000 combined individual hours of service within the surrounding neighborhoods of Orange and Riverside counties. Many of the volunteer projects will be done by the church's small groups, or Bible studies, of which there are a total of 5,000.